Ulupalakua Vineyards’ Corporate Identity shown on stationery pieces, like letterhead and business cards. 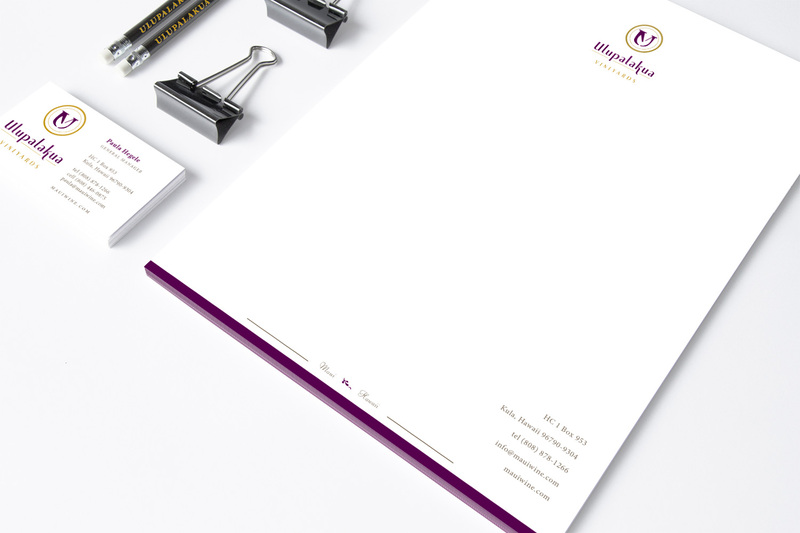 When the GM of the winery approached us to create a new brand identity we were thrilled. The task at hand was huge because of layers of a complex set-up and past pieces that we had to consider during the re-design. We dug deep to uncover that the core of the business goes back to a rich history of cattle-ranching. The brand had to reflect that tradition and yet convey that today the wine is grown on the fertile slopes of Ulupalakua.